The leader of the European Parliament's largest political group, the European Peoples’ Party (EPP), said yesterday (11 June) the European Commission should “force” the resignation of the head of the EU anti-fraud office, OLAF, over his handling of the case against former commissioner John Dalli. 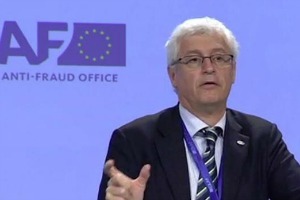 The Maltese Police chief Paul Zammit, in charge of the investigation in the Dalli case, announced on 8 June that the case prepared by OLAF did not contain sufficient evidence to justify legal proceedings against the former Commissioner. Dalli resigned as Commissioner for Health and Consumer Policy in October 2012 following a meeting with Commission President José Manuel Barroso. A report from OLAF, the EU's anti-fraud office, claimed that a Maltese lobbyist had approached the tobacco producer Swedish Match and proposed making use of his contacts with Dalli to fix the EU export ban on powder tobacco (see background). Dalli is a politician from the Maltese Nationalist Party (PN), with affiliation to the centre-right EPP. Joseph Daul, Chairman of the EPP Group in the European Parliament, and Inge Grässle MEP, EPP Group Coordinator in the European Parliament’s Budgetary Control Committee, welcomed the announcement in a statement published yesterday (11 June). “The European Commission, guardian of European law, must draw the right conclusions and force the resignation of Giovanni Kessler, Director-General of OLAF, whose position has become politically and legally untenable,” they said. “We must strengthen the monitoring of OLAF and put in place an impartial and independent judiciary body which will ensure that procedures and fundamental rights are correctly followed and respected,” they added. The OLAF report, which was leaked to the Maltese press last April, illustrated the “amateurish approach" by OLAF in the handling of the Dalli case, according to Grässle. Gayle Kimberley, a possible accomplice in the alleged attempt to extort bribes from the company Swedish Match, also made statements which cast doubts over Kessler’s professionalism. In her words Kessler took her to lunch following her interrogation. Asked to Comment, the European Commission said that the statement of the Maltese police chief made no difference, as Dalli's position in the Commission had become “untenable” following the suspicions against him. The Commission also rejected views that ‘Dalligate’ was orchestrated by the tobacco industry itself, with the aim of delaying the adoption of the Tobacco directive. Spokesperson Pia Ahrenkilde Hansen insisted that there was no evidence to substantiate such claims. Dalli said he will do everything to restore his integrity and to clean his country’s image over the scandal. "The statement issued by the Police Commissioner is a closure of a malevolent and defamatory case in my regard, which has damaged Malta's image worldwide," Dalli told MaltaToday. "After months of anguish caused mainly by politically motivated leaks in the press just before and during the election campaign, I can now concentrate on fully restoring my integrity as well as Malta's name at an international level, which is of the utmost importance," Dalli said. The former commissioner said he will proceed with court action he instituted last December in the Belgian Criminal Court in a case for defamation against Swedish Match "for maliciously spreading fabricated information", and another in the European Court of Justice in Luxembourg for the annulment of President José Barroso's decision to terminate his term as European Commissioner. John Dalli resigned as Commissioner for Health and Consumer Policy in October 2012. A report of the EU's anti-fraud office OLAF which was leaked to the press last April claims that a Maltese lobbyist had approached the tobacco producer Swedish Match and proposed making use of his contacts with Dalli to fix the EU export ban on powder tobacco (snus). The report claimed that, while Dalli was not involved, he knew what was going on. The report also says that Dalli has put the European Commission's image and reputation at risk, and that inconsistencies in his statements, together with findings of the investigation, could be seen as a breach of his duty to uphold the dignity of his office. The spin and propaganda is in full swing to avoid the Shite sticking to Barrosa who ultimately is responsible. It really has been so badly handled,time for Barrosa to go.